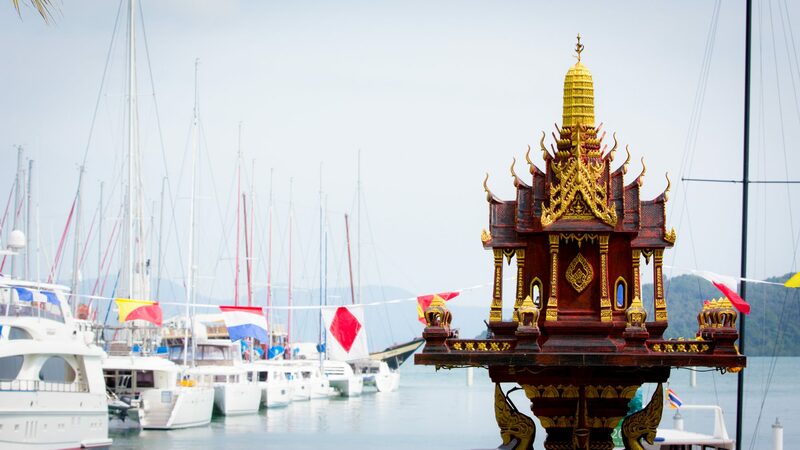 From the vibrant shores of Patong Beach on the Phuket mainland, the view is of a calm sea, dotted with craggy, verdant isles. As the sun rises, the incoming tide barely laps the shell-studded sands while locals wade in placid waters. It’s a wonderfully languid scene, epitomizing the perennial laid-back vibe of this province way down on the western coast of Thailand. But don’t let this setting fool you Patong is where Thais and the throngs of outsiders come to let loose. 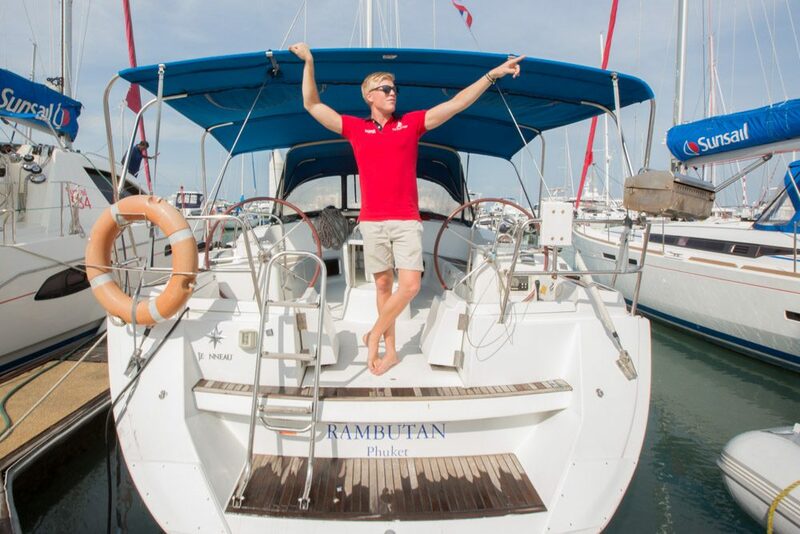 We have been in Phuket for three days, gearing up for the The Yacht Weeks first expedition to Thailand. 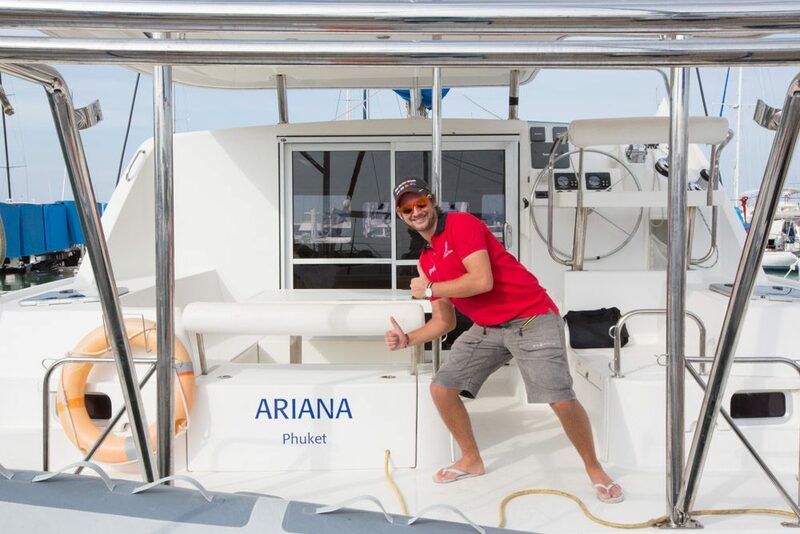 It is the morning of departure, despite a few post-Singha haggard faces, the team’s up at the crack of dawn, gathering supplies and connecting with the 120 strong crew who are arriving on the island mid-day. We walk into port laughing and reminiscing about last night's dancing in the street in front of a converted disco Tuk-tuk bar serving cocktails on the pavement. An old women made us Pad Thai from a wooden cart she was rolling down the alley. Best thing I’ve ever eaten, no lie. Ao Po Grand Marina is our port of departure. What was recently a hidden gem, construction is well under way and with a stunning natural backdrop, it is shaping up to rival major international first class marinas. Harbored in Phang Nga bay the marina is attracting hoards of super yachts and sailing yachts alike. We meet Philip our local skipper. He pulls out regional maps, tide charts and lays down the law about the route. Skippers, crew and the media team crisscross with luggage and camera equipment. Skippers come together for the first de-brief of the trip. “Are you guys ready for this!!! ?” a Yacht Week alumni shouts as he comes into view of the marina restaurant deck. Rocking a t-shirt with a map of Thailand, his enthusiastic smile is welcomed warmly with familiar high fives. “This is going to be next level!” I have been fortunate enough to spend some quality time with The Yacht Week skippers over the past few days. Now it’s your turn. Meet the boys! 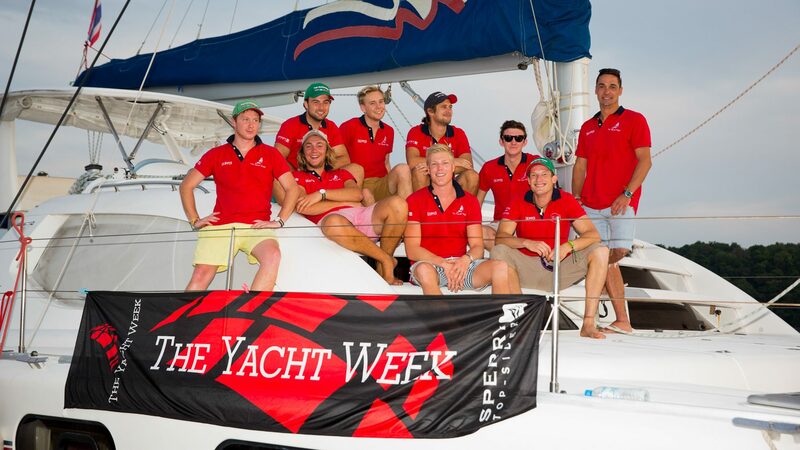 The Yacht Week Skippers. From left to right: Guy Bottomley, Joe Bottomley, Patrick JP Moore, Jonas Hallden, Julian Brockhurst, Alexander Wölfinger, Charlie Gardiner-Hill, Andy, Kevin Hoogstad. “Talk about location! TYW hits amazing Thailand for the first time. How do you top having the best week of your life? We’ll tell you exactly how, next week!" 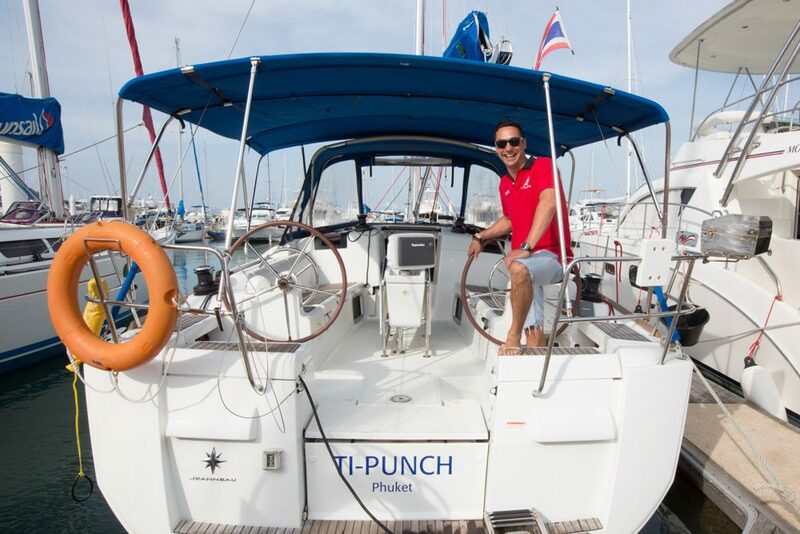 To book your own yacht and sail in Thailand this December, have a look at our Thailand information page.